Theodor Seuss Geisel, a.k.a. Dr. Seuss, began his career as a little-known editorial cartoonist in the 1920s. His intriguing perspective and fresh concepts ignited his career, and his work evolved quickly to deft illustrations, modeled sculpture, and sophisticated oil paintings of elaborate imagination. His artistic vision emerged as the golden thread that linked every facet of his varied career, and his artwork became the platform from which he delivered forty-four children’s books, more than 400 World War II political cartoons, hundreds of advertisements, and countless editorials filled with wonderfully inventive animals, characters, and humor. Geisel single-handedly forged a new genre of art that falls somewhere between the surrealist movement of the early 20th century and the inspired nonsense of a child’s classroom doodles. 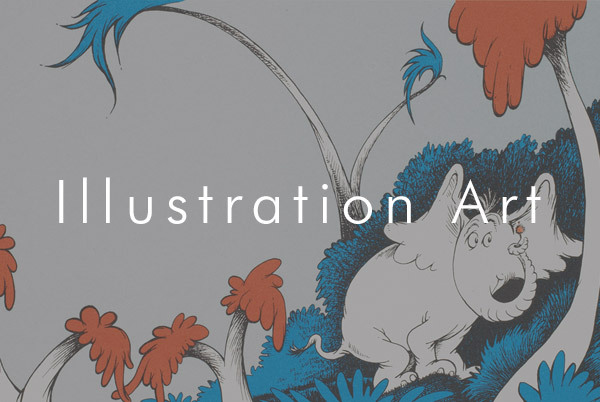 The Art of Dr. Seuss project offers a rare glimpse into the artistic life of this celebrated American icon and chronicles almost seven decades of work that, in every respect is uniquely, stylistically, and endearingly Seussian.